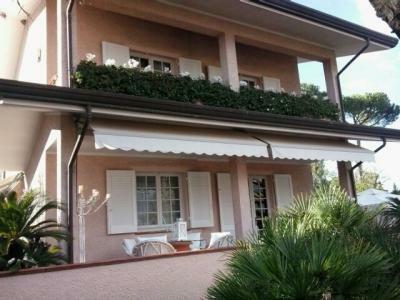 Detached villa for rent in Forte dei Marmi, Vittoria Apuana in mt 300 from the sea. Located in a quiet area. The villa is on two floors plus a basement and an attic floor area. Internally consists of a large living room of 60 m² with dining area that opens onto a porch of 40 sqm, kitchen, 6 bedrooms and three bathrooms. The lot is 1,500 sq m, so there is the possibility to create the pool. Do not find the right solution for your needs within our site? Use the form and leave your request. We will contact you as soon as you have the property you are looking for! If you want to sell or rent your real estate, you can contact our agency for advice and a free evaluation.